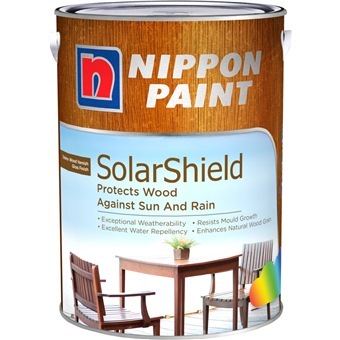 NIPPON SOLARSHIELD 1L VARNISH FOR EXTERIOR WOOD [7 COLOURS] is rated 5.0 out of 5 by 1. 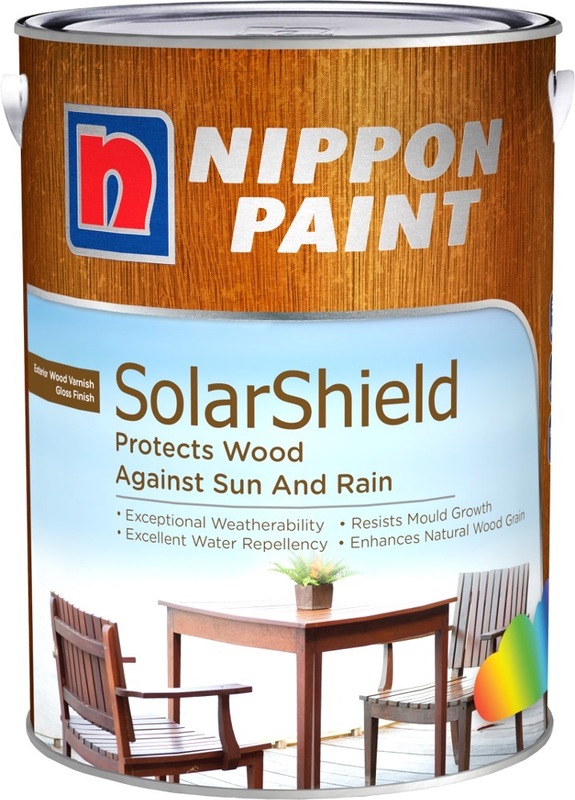 Nippon SolarShield is a durable pigmented wood varnish that provides long-lasting protection against cracking, flaking and peeling. 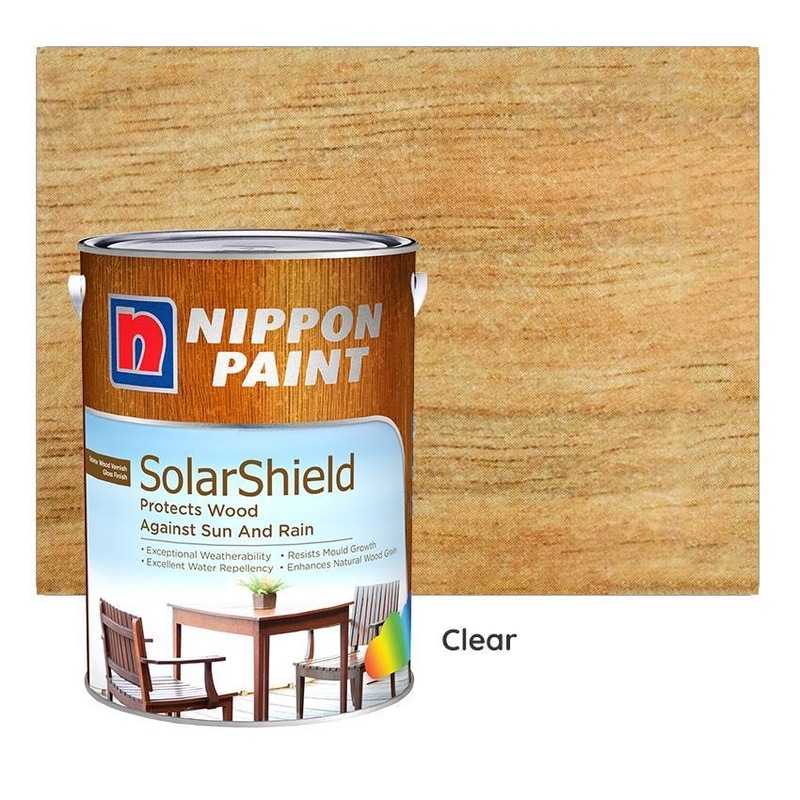 Nippon Solarshield is a premium quality solvent-based transparent wood finish especially formulated to provide long-lasting protection for wood surfaces. It contains a special resin to create a water-resistant and flexible finish that highlights the natural beauty of the wood grain and filters out UV rays. Nippon SolarShield is suitable for all types of new wood surfaces and those previously painted with a transparent wood film such as stair railing, fences, door, frame, furniture and etc. 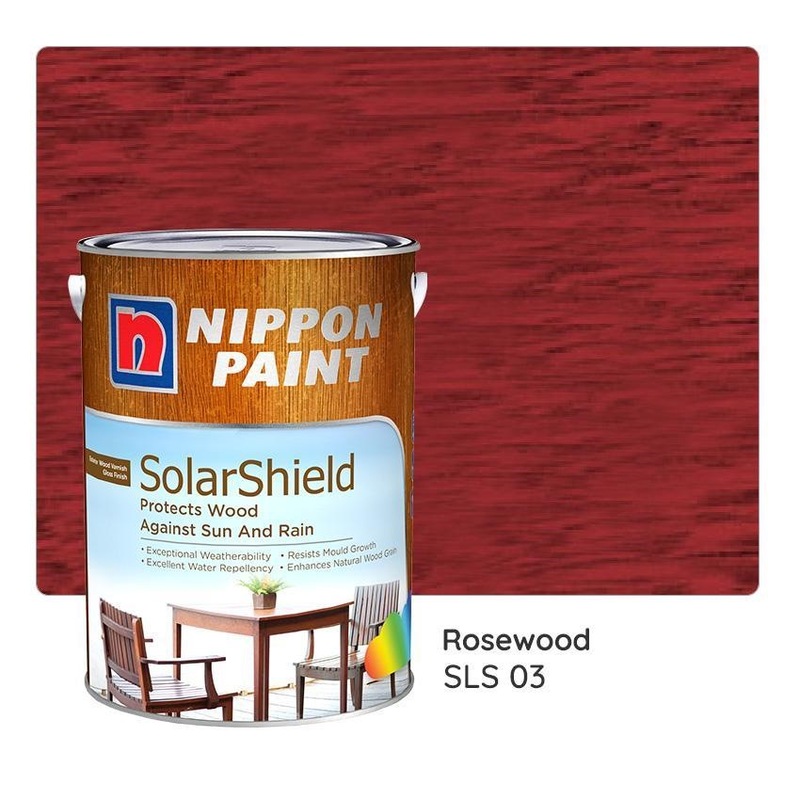 Not suitable for walk-on surfaces. Rated 5 out of 5 by Bongsquared from Item as described Bought to paint the main door, glad to found horme as it was difficult to find this paint in retail shops!